Anytime JR is out of town, I take full advantage of the chance to watch all of my favorite guilty pleasure shows. Last week, that included MTV’s The Challenge (I heart you forever, CT), Survivor and The Amazing Race, and I just started Gilmore Girls on Netflix. 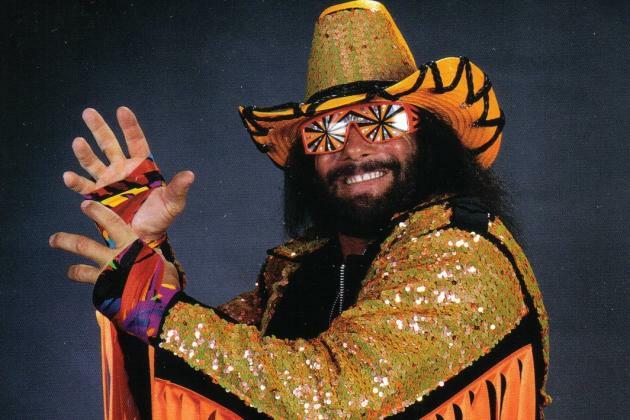 I also relived my youth starting with a viewing of Macho Man: The Randy Savage Story. You might be surprised to learn that I used to be a HUGE wresting fan, particularly the WWF. I’m not sure how it started, but in the late 80s – mid-90s, I loved watching wrestling on TV with my stepdad. For the major events, like Wrestlemania, Summer Slam, and the Royal Rumble, we would get together with family friends to watch. Occasionally when the WWF was at the Richfield Coliseum near Cleveland, we would get tickets and go see them live. This was before wrestling became popular again with Stone Cold Steve Austin, the Rock, and the like, so we were always able to get cheap tickets really close to the ring. At the beginning of each match, I would run up to the railing and hope that I’d get to hive-five one of my favorite wrestlers. 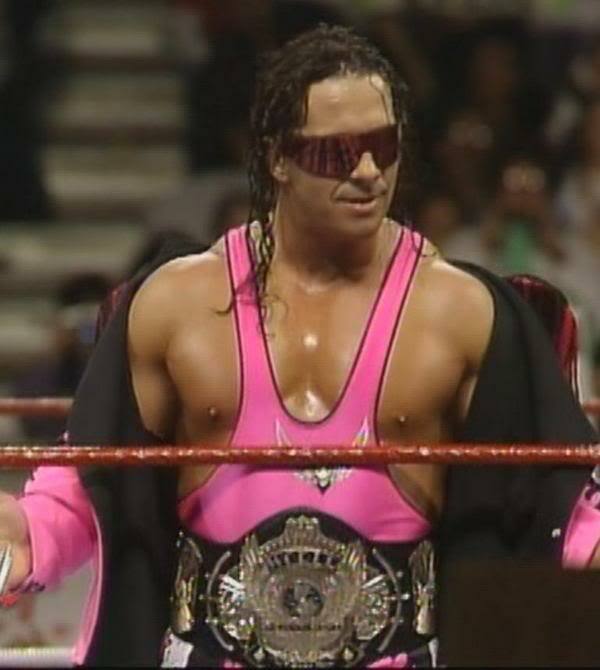 In my wildest dreams, I imagined that Bret ‘The Hitman” Hart would meet my gaze and hand me his prized sunglasses before entering the ring. Sadly, that never happened. 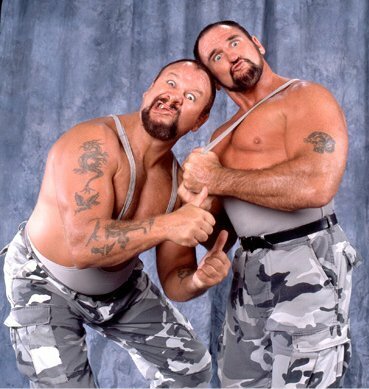 Rather, my claim to fame is that once before a tag-team match, one of the Bushwackers grabbed my head and licked the entire side of my face, from chin to forehead. I’m not making this up (note, JR says this is a story I should probably keep to myself). 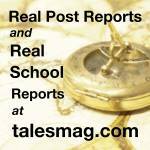 I adored Hulk Hogan – who didn’t? He was the best of the best and I considered myself a Hulkamaniac. JR bought me the Hulk Hogan Ultimate Anthology DVD for Christmas the year it was released (so did my mom, and really, it’s just smart to have two copies). I also loved the Macho Man. What was not to love about this guy? I was obsessed with the love story with Ms. Elizabeth. Every once in a while, I’ll go to YouTube to rewatch his on-air proposal and her amazing response (starts at 1:33). What’s crazy to me is that this was clearly pre-Google days, so I NEVER knew that they had already been married for several years when they set up the whole dating/engagement/marriage stuff on TV. That wouldn’t work now because everyone would know, but back then I bought it completely! Anyway, the documentary was really well done and had me smiling and in tears. I loved seeing other wrestlers talk about the Macho Man, and I even saw my former flame, Bret Hart, in interviews. It might seem strange that a young girl would be that into professional wrestling, but what can I say? Sometimes I’m weird (yet another thing JR thinks is best not to share with all 11 of my blog readers).